Check out our Forever Warranty! In our pre-owned inventory to choose from. 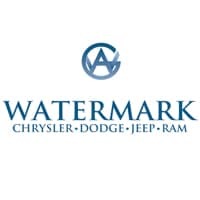 Welcome to Watermark Chrysler Dodge Jeep RAM! We work to provide you with the best in automotive sales, services and repairs! In 2016, we became a part of the Watermark Auto Group, which believes in providing customers the best possible experience in the automotive industry. Whether you need a new vehicle, used vehicle, routine maintenance or repairs or an auto loan, turn to us here at Watermark Chrysler Dodge Jeep RAM, where we treat each customer like friends and family. When you are ready, let us show you the Watermark Difference!